The Tomorrowland Speedway has been part of Walt Disney World and the Magic Kingdom since opening day in 1971. I believe it should never have existed. But if Disney removes the Speedway at this point, what should take its place? It doesn’t fit the Tomorrowland theme. There is nothing futuristic about it. Even in 1971, an attraction that consisted of driving a small car powered by a fossil-fuel combustion engine was old news. It doesn’t fit the Magic Kingdom theme. There is nothing magical about this prosaic attraction. Only the youngest children will find it exciting to drive a slow (max speed 7 miles per hour) vehicle bound to a permanent track – but the youngest children can’t even have the relative thrill of taking to the open-ish road on their own, as the minimum height for a solo rider is 54 inches. For reference, the bucolic Tomorrowland Transit Authority People Mover averages 6 miles per hour, and has the added entertainment value of views inside Space Mountain. It’s wildly impractical for Florida summers, with its unshaded asphalt and suffocating exhaust fumes. More Fantasyland! The 2012 Fantasyland expansion has by all accounts been successful, with long lines for Seven Dwarfs Mine Train and sold-out dining at Be Our Guest. My vote is for a Tangled attraction that’s more than themed restrooms, plus more table service dining. Bring back the classic 20,000 Leagues Under the Sea. There’s plenty of room to dig out a lagoon and put even-more-terrifying-than-in-the-past giant squid in the water. And there are thousands of Gen Xers who remember this attraction fondly and want the chance to experience it again with their kids. What do you think? 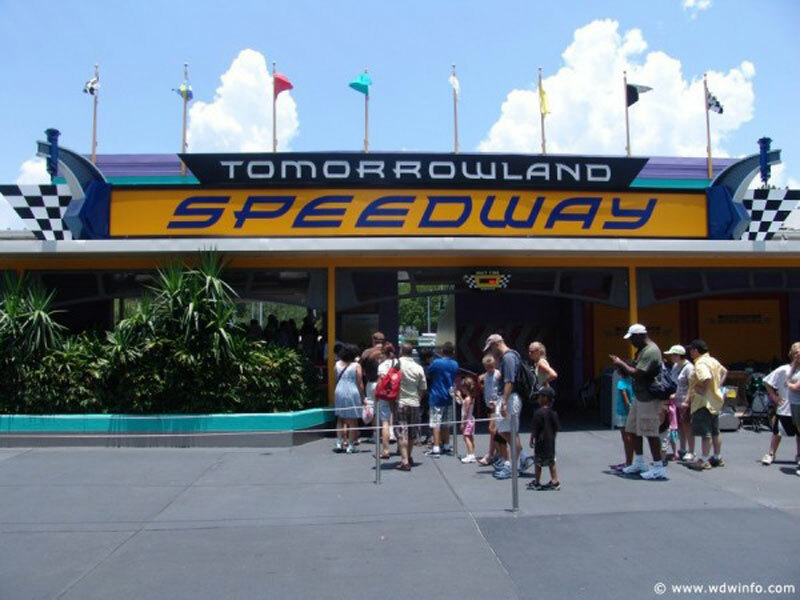 Has the Tomorrowland Speedway kept pace with the evolution of the Magic Kingdom, or should Walt Disney World move on from this dead end attraction? RUMOR: Is Tomorrowland Speedway on its way out?